With never-before-revealed firsthand accounts of World War I survivors, this is a comprehensive look at the Battle of Somme, one of the largest of the war, which took place on July 1, 1916. 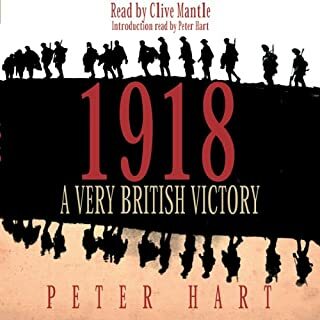 Listeners will be stunned by immediacy of Peter Hart's writing - it vividly evokes the battlefields, the trenches, and the fear of the soldiers fighting in the war. Especially striking are, of course, the personal testimonies of survivors. Mark Ashby's clear-as-a-bell narration adds a bit of calm to this gripping audiobook experience. ©2008 Peter Hart (P)2013 Audible, Inc. This is a comprehensive story of the British offensive on the Somme. It is rich in historical detail. A great part of this detail consists of excerpts from diaries and reports of the actual participants, from generals to privates. It helped me expand my knowledge of this important part of WW1 and gave me some insight into some of the appalling decisions made by the British general command as well as the motivations and courage of those tasked with carrying those decisions. The author provides sources for his many excerpts of original material. Unfortunately he chose to provide these attributions in the body of the text instead of in a footnote. This lead the producer of this book to include these attributions in the reading of the text. This interrupts the narrative flow with frequent and repetitive citations. These attributions are fine in a printed work, but the producer should have omitted them in the audio recording. Peter Hart is the oral historian of Britain’s Imperial War Museum. Hart has written a well research book and has dissected the battle in detail. Hart mixes facts and figures with direct quotations from participants to help establish “the face of battle”. This narrative/analytical backdrop contextualizing the personal experiences makes for dramatic reading of the battle. Because of his job at the War Museum Hart has unrivaled access to relevant source material. The author vividly presents the run up to the “big push” expected to end the war, instead resulted in the disaster of the first day July 1, 1916. The British suffered nearly 60,000 casualties, the greatest one day lost in the history of the British Army. 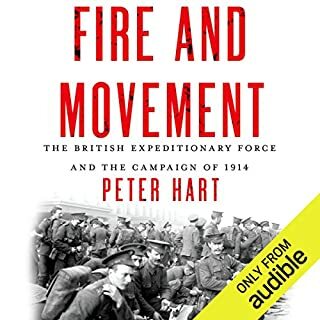 Hart does make a point that General Douglas Haig (British Army) wanted to start the 1916 campaign in Belgium but French General Joffre the overall commander insisted on the Somme. The battle lasted for four deadly months. The British had only a small army as it always relied upon its navy to fight its wars. Prior wars in Europe the British primarily control the ocean and relied on its allies to fight on land. In World War One the British had to quickly build an army so it depended heavily on its colonies to man the army. The 1st Newfoundland Regiment of the Canadian Army was virtually wiped out at Beaumont Hamel on the first day of the battle July 1, 1916. The Canadian army lost 24,713 men at the Somme. Most people have never heard of Delville Wood, but if you mention it in South Africa you will find it is still a place of fame, only 780 out of 3153 men in the South African Regiment survived the battle. A comprehensive study of the battle of the Somme (1916) found that a million combatants were killed/wounded. The British Army learned to fight in the campaign with numerous innovations such as walking artillery fire, and tanks were used for the first time. The Somme occupies a hallowed place in British memory comparable to Gallipoli for Australians or Gettysburg for Americans, but on a much bigger scale. With just under a half million causalities this was the costliest battle the British Army has ever fought. 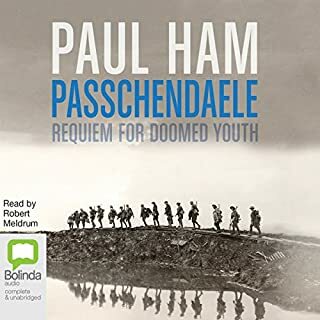 As I listened to this as an audio book, I used the internet for maps and pictures of the battle of the Somme. I understand the actual book contained many pictures and maps. Mark Ashby did an excellent job narrating the book. This is a must read book for anyone studying the battle of the Somme. I have recently started to study WW1. 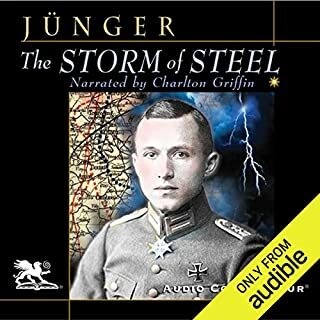 After a podcast by Dan Carlin, I purchased this audio book. I was not disappointed, my jaw was wide open while listening to the heroic tales of all the many men of the Somme. What would have made The Somme better? author constantly inserts quotes from participants in the battle and at the end of each quote includes their name, rank, country, company, battalion and army division. This may be fine if you are reading the book, but in the audible version, especially since the quotes are so frequent, I found it to be very annoying. I love the book first off. The perspective is told through the letters amd journals of men who were there and you can't help but appreciate that in terms of true storytelling. The one thing I didnt care for was the organization of the book and in my opinion lack of meaningful context for alot of the tales. The quotes were great but having to listen to the soldier's unit after every single one broke me. Made it to Ch. 5. Miscommunication, no communication, naivete, over optimism, men leisurely walking at shoulder arms into German machine guns, rotting corpses, rats, no quarter etc... The Somme was a dreadful waste of human life . At the same time, the bravery of the individual soldier was praiseworthy. A majority of soldiers took a fatalistic view of the fighting. They knew they were going to die, it was just a matter of when..Arguably, men with this view didn't give their 100%. Conversely, the majority of those KIA never even got the chance to fight. They were mowed down by the hundreds walking toward the German wire..The men that did make into the German trenches seemed to take prisoners as an afterthought.,Many units did have orders not to take prisoners for fear of slowing the advance. It's a good book though, told mostly from the Commonwealth side.. Some reviewers mentioned that the reading of footnotes during the narration was distracting. I didn't mind. It is exactly how I read a book... I read every footnote as it appears. I have to know the details. A tale of brutal war! Awesome book! This is a must for those who are intrested in ww1. Just puck it up you ent regret it. I thoroughly enjoyed listening to this while driving back and forth to work. World War I has captivated my imagination ever since I read the autobiography of Harry Patch, “The Last Tommy”. 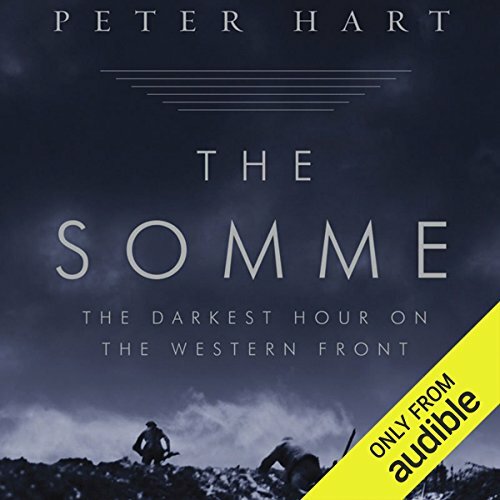 Peter Hart captures the misery, the horror, and the soldiers perspective of this battle. I highly recommend this book. 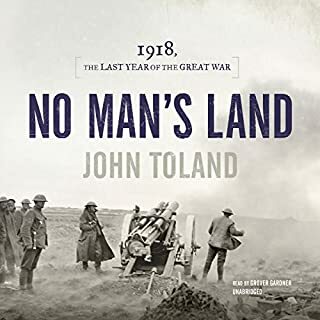 As a ‘human experience’ look at the Battle if the Somme, this book succeeds; however, it does so with great repetition and little strategic insight. Constantly repeating the unit designation of a soldier, often 3 or 4 times in a few pages is most distracting. 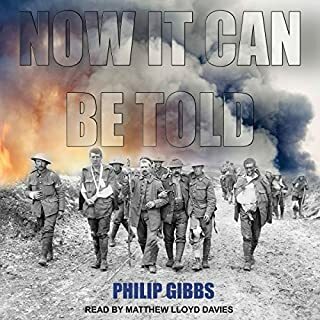 Audible (Amazon) would do well to include a link like this, Mapping the First World War: Battlefields of the Great Conflict from Above, with dis and other descriptive battle narratives- they add much.